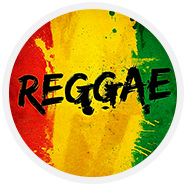 Roots reggae to ethnic music of Jamaica, and rhythm and Blues. Popular music from the poor inhabitants of Jamaica, in the forties was known as the "mento" - it was a typical African songs that got the inhabitants from their ancestors, because many residents of this Sunny island, were the descendants of black slaves brought to Jamaica in the seventeenth century from Africa. they were Performed to the accompaniment of guitar and percussion, and the dances of the indigenous culture, such as Rumba, merengue, Calypso and Samba, under the African music was the music of the Islands. Alloy called reggae arose in the 60's, when musicians of Jamaica attempted to recreate the rhythm and Blues of New Orleans and Memphis, who listened via radio. Of course, what they do, is quite different from the original. in writing these hits, some of the details were just passed, and in place of them were wedged such a darling for them, the Jamaican mento music. And, of course, every musician tried to add possible some own flavor to the song. the Tempo of reggae unhurried, relaxed rhythm and intricate: a strong beat is often skipped altogether, and the weak actively focuses (chords of the guitar and wind instruments). Bass also party can be quite ornate. It is very important to find "necessary" to the rhythm of reggae musician, thanks to which creates the "vibration positive," which is required to transfer music reggae. Covering the ideas of many musical currents, reggae remains loyal to his spirit, the spirit of peace, harmony. The worldview of this music is based in it. Internal improvement, the lack of negativity – like the concept of this musical flow, involving the brotherhood and equality around the world. Reggae music of reconciliation, peace and positivity. a Classic and king of reggae was, is and will remain immortal Bob Marley, who was able to declare to the world through reggae all hopes for peace in the world. His music, while remaining peaceful, dance (and, curiously orchestrated), calls all of humanity not to forget their "roots" and the return to the sources. All who like innovative solutions, new paint in life, and for those who like this musical direction, I recommend to listen to reggae! Here will introduce the artists that you should listen to in order to get acquainted with this music for, and they are: Peter Tosh, Linton Kwesi, Black Uhuru and, of course, Bob Marley. On the territory of Russia's main propagandists back in the seventies was "Carnival" and "Aquarium" with its immortal song "Zoom Zoom Zoom", at this point you can select these reggae groups like: "Island", "Dzha divizhn" and "Surveyor Kunst". If you plan birthday our musicians will perform a few songs in reggae style on your holiday!